MONTREAL, CANADA--(Marketwired - July 20, 2016) - Urbanimmersive Inc. ("Urbanimmersive" or the "Corporation") (TSX VENTURE:UI), is pleased to announce the closing of the private placement announced on May 4, 2016 for gross proceeds of $1,395,239.55. Urbanimmersive issued 9,301,597 units (the "Units") at the price of $0.15 per Unit. Each Unit is comprised of one common share of the Corporation and one common share purchase warrant. Each warrant entitles its holder to acquire one additional common share of the Corporation at a price of $0.25 per common share within the 2-year period ending on July 20, 2018. "With this new equity financing and our recent strategic business developments, we are now very well positioned to support the growth of our real estate content's marketplace. The participation of investors from across Canada, including several ones related to real estate, in this financing represents for us a significant recognition of the progress our company has made in the residential technologies market" says Ghislain Lemire, CEO at Urbanimmersive. Leede Jones Gable Inc. (the "Agent") has acted as agent in connection with a portion of the private placement. The Corporation has paid a cash commission of $79,674.58 to the Agent and has granted to the Agent 930,159 non-transferable compensation options, representing 10% of the Units sold under the private placement. Each compensation option shall be exercisable to acquire one compensation unit at an exercise price of $0.15 per unit at any time prior to July 20, 2018. Each compensation unit will consist of one common share of the Corporation and one common share purchase warrant of the Corporation exercisable into one additional common share of the Corporation at a price of $0.25 per common share within the 2-year period ending on July 20, 2018. All securities issued under the private placement were issued pursuant to exemptions from the prospectus requirements of applicable securities laws and are subject to a statutory resale restriction until November 21, 2016. Urbanimmersive is a content marketing platform for real estate professionals. The Company connects real estate professionals, photographers and writers in order to simplify and optimize original content production workflow. 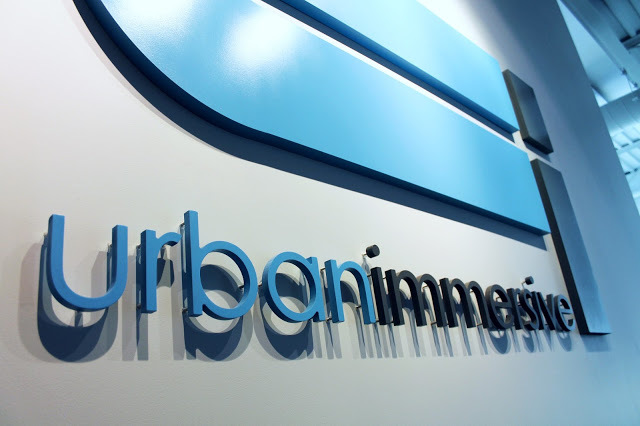 Urbanimmersive enables its customers to leverage their marketing investment while increasing productivity, competitiveness, their web visibility, consumer engagement with their brand and, ultimately, their income. For more information, visit Urbanimmersive website www.urbanimmersive.com. Certain statements made in this press release that are not historical facts are forward-looking statements and are subject to important risks, uncertainties and assumptions. The results or events predicted in these forward-looking statements may differ materially from actual results or events. As a result, readers are cautioned not to place undue reliance on these forward-looking statements. For additional information with respect to certain of these and other assumptions and risk factors, please refer to the Management's Discussion and Analysis of the Corporation for the quarter ended March 31, 2016, and filed with the Canadian securities commissions on May 25, 2016. The forward-looking statements contained in this press release represent our expectations as of the date hereof. We disclaim any intention and assume no obligation to update or revise any forward-looking statements.